Teardrop shaped and with a great amount of elegance, the Mercedes Benz GLE Coupe is a strikingly nice new medium-size SUV coupe. Very much a car of distinction, the Mercedes Benz GLE Coupe has a number of engines for powering the all new luxury coupe from Mercedes. Stacked with luxury and the latest technology, the GLE Coupe is an SUV with a special drive. Slip inside the Nappa leather interior of the Mercedes Benz GLE Coupe, and it’s like being inside a palace. Beautifully crafted seats are made with the finest leather materials that provide coloured stitching accents and detailing that aesthetically pleases, and Mercedes have provided electronic adjustment in the front seats for finding the best position for the journey. Numerous Nappa leather options and colours are available. Heated seats are available (front and rear), while the gorgeous dash design houses a very complete touch screen, audio unit and easy-to-use dials and switchgear. Zoned climate controlled air-conditioning works strongly and quietly to settle the interior of the Mercedes Benz GLE Coupe to the right temperature quickly. You can access the cars software from inside your office or home to get the Coupe’s interior warmed up and demisted on days that are cold. Bluetooth communications provides a hands-free system to connect with people on your journey, making it easier to drive and organise the day’s agenda while in traffic. Live streaming brings all your favourite music artists and songs into your drive to-and-from work. One of the notable experiences in the new Mercedes Benz GLE Coupe is the premium surround-sound multiple speaker system that brings the highest quality of audio hearing one finds in a car. The mixing of the sound system is very sharp. As far as design goes the Mercedes Benz GLE Coupe SUV scores very highly in the elegant detailing of its interior, yet remains scoring highly for its uncluttered appearance. There is a useful level of room in the rear seats for three large adults. Storage compartments like the cooling glovebox, door pockets and console are sizeable for carrying those handy bits one can’t do without on an outing with the kids. The Mercedes Benz GLE Coupe is a very safe sports SUV to drive, boasting features like adaptive cruise control, accident avoidance systems and park assist. Made of high grade steel, the safety cage is superbly strong and acts as a cocooning space in the event of a serious accident. Being a coupe styled SUV, the GLE Coupe has sporty styled proportions that offer a commanding view of the road ahead. There are a number of engine options available for powering the Mercedes Benz GLE Coupe SUV. Modern diesel and petrol options ensure the drive remains swift and efficient. Stacked with horses and with masses of torque, the Mercedes Benz GLE 350d 4MATIC Coupe is an immensely strong and rewarding drive. The slick nine-speed automatic is very smooth and is capable of providing a fast 7.0 seconds from standstill to 100 km/h. The permanent AWD offers excellent levels of grip over all surfaces, and the 3.0-litre, direct injection turbo-diesel has start/stop technology that gives a combined fuel consumption of around 7 litres/100 km. With 190 kW and 620 Nm, the smooth diesel performance does tempt one to drive it hard, so fuel economy will vary according to the pressure of the driver’s right foot. 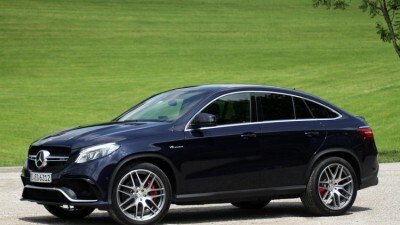 Next in line is the petrol-fed Mercedes Benz GLE 450 AMG 4MATIC Coupe. Bi-turbo engine technology linked to the superior 7G-Tronic speedshift transmission offers exciting performance such that the Coupe SUV will complete the 0-100 km/h sprint in under six seconds. Premium performance belongs to the Mercedes Benz AMG GLE 63S 4MATIC Coupe which has V8 power, 430 kW, 760 Nm and a 0-100 km/h sprint time of a smidgeon over 4 seconds! Even the 350d covers the ground very quickly, and the accurate steering and taut chassis, though comfortable, has tenacious grip when pressed. AMG Line exterior body styling is available to all Mercedes Benz GLE Coupe models, and each model looks incredibly good. Even with the huge list of standard features there are number of outstanding options. The Night Package offers 22-inch AMG cross-spoke light alloy wheels, a louvre in the radiator grille, a wing-insert in the front and rear apron, a beltline strip in black, heat-insulating dark tinted glass and twin tailpipes in black. There is even a sound system upgrade to what is a 1200 Watt Bang and Olufsen audio system with Acoustic Lens Technology. An Anti-theft Protection package, panoramic sunroof, heated rear seats, TV, and a carbon-fibre engine cover are just some of the other options available to make your new Mercedes Benz GLE Coupe very special. 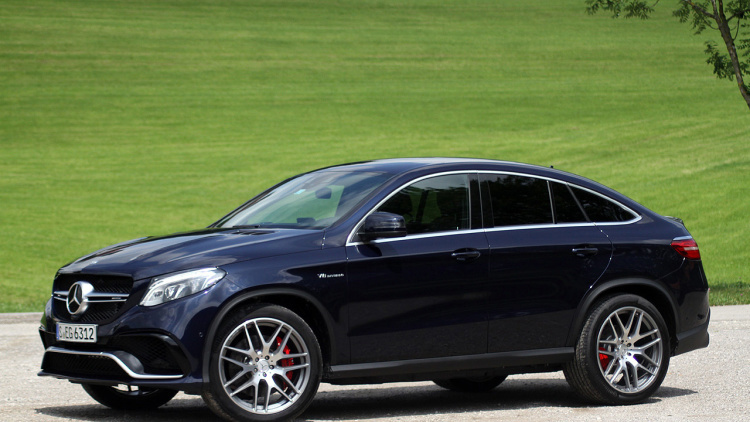 The Mercedes Benz GLE Coupe is leading the way ahead for the finest luxury sports SUV drive. This is a must-see for those in the market for a high-end luxury brand sports SUV. For any more information on the Mercedes Benz GLE Coupe models or, for that matter, any other new car, contact one of our friendly consultants on 1300 303 181. If you’d like some fleet discount pricing (yes even for private buyers! ), we can submit vehicle quote requests out to our national network of Mercedes Benz dealers and come back with pricing within 24 hours. Private Fleet – car buying made easy!